The transformation of the heart and mind through the channelling of vibrational energy. The effects of this focus are ultimately balance and harmony on all energetic levels. This creates a clearer perspective on life and the life-forces that guide us on our pathway. Everything in the universe resonates to its own frequency. 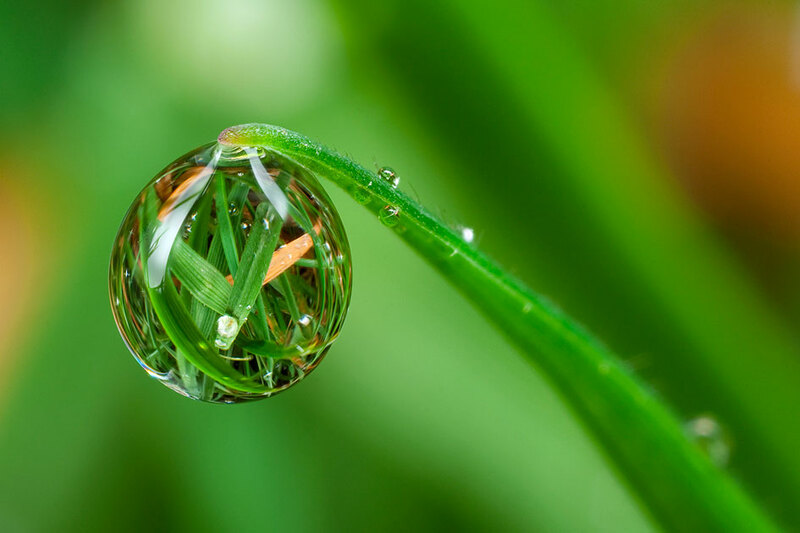 Using the resonance of crystals and gems and the powerful frequencies generating through the use of Crystal Singing Bowls, strong and beautiful environments are created that promote healing, balance and transformation. I have studied the combined healing powers of crystals and sound and I now have a blessed life passing on my knowledge through teaching, writing and performance. The Crystal Sound and Light Institute, has been created as a resource that provides everything a student needs to learn and practice this powerful, universal, fundamental form of transformation. 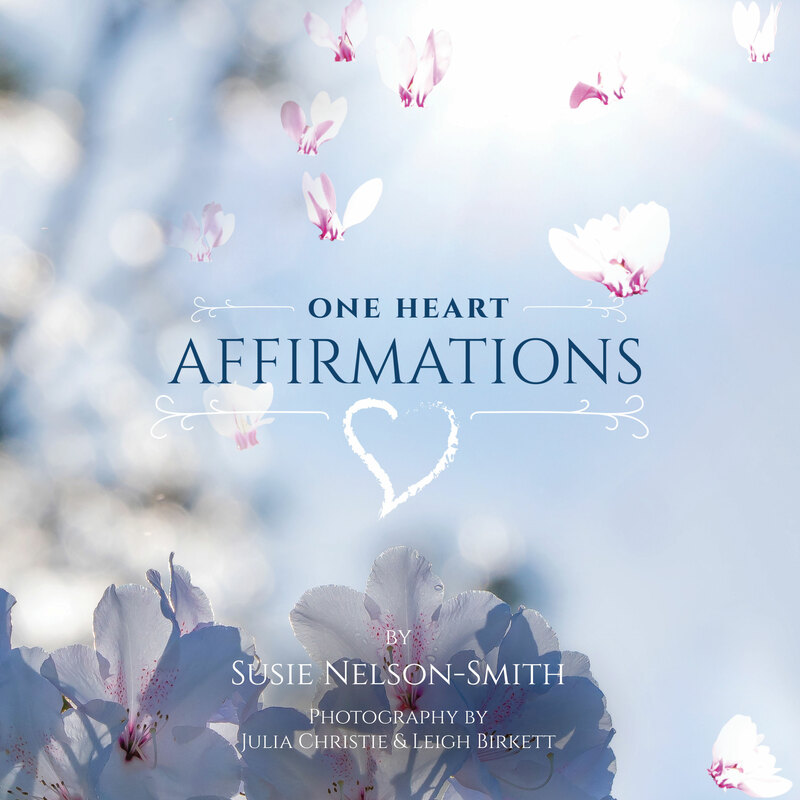 I'm really excited to be able to announce the launch of my new book - One Heart Affirmations. This has been a project 15 years in the making and I'm so thrilled to see it come to fruition. 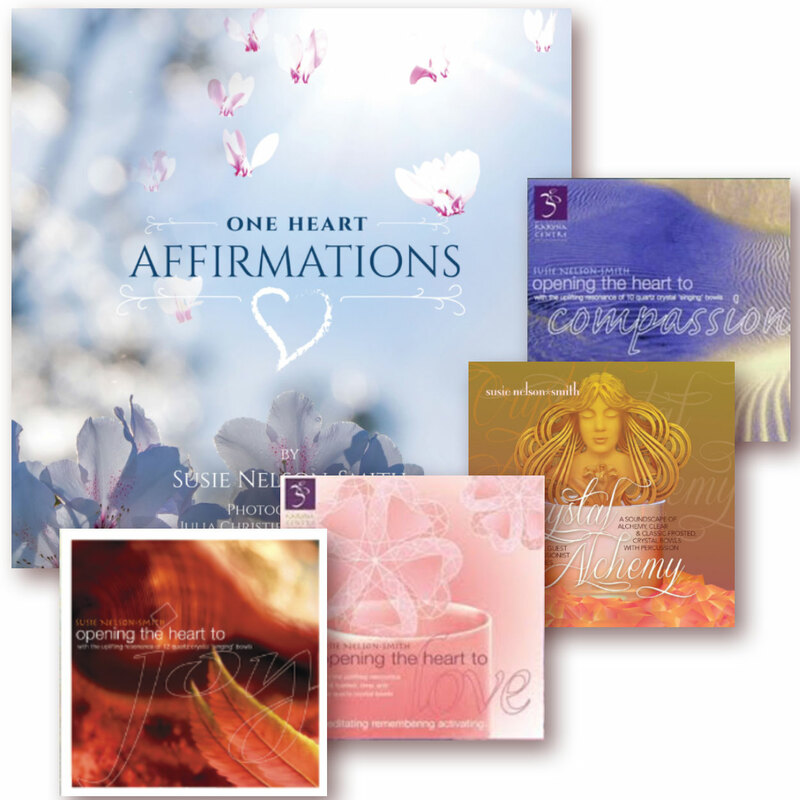 I've compiled a series of 52 affirmations to help lift you up in your daily life. These have been beautifully and evocatively illustrated with photographs from Julia Christie and Leigh Birkett. Free shipping in Australia. Special discount with CD for international purchases. Notice to Distributors: If you have healing rooms, a Yoga centre or gift store and would like to sell the book, please contact me. Special prices for multiple purchases are available. I have a very exciting year planned in 2019. Here are some of the highlights. For those of you looking to book a place on the Cert IV in England, deposits are due asap. for you to stream and enjoy as a personal learning experience . . . check back soon! 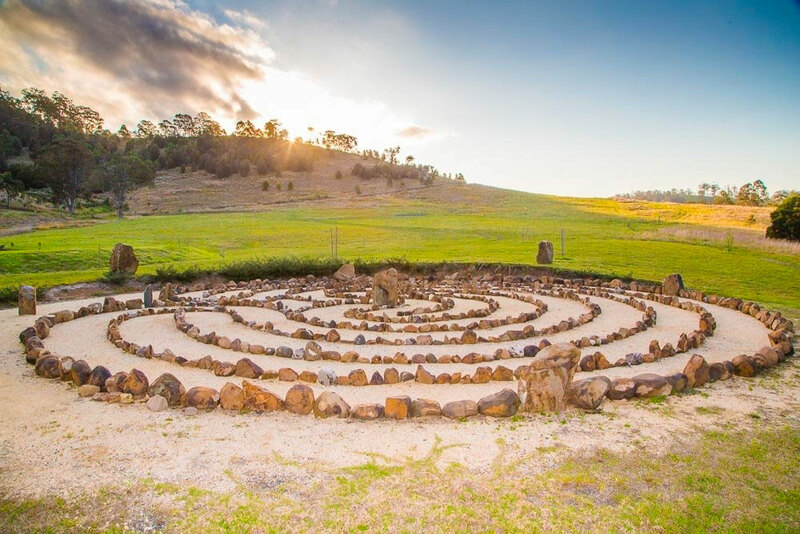 Celebrating International Labyrinth Day on May 4, is an opportunity to engage in a walking healing journey. 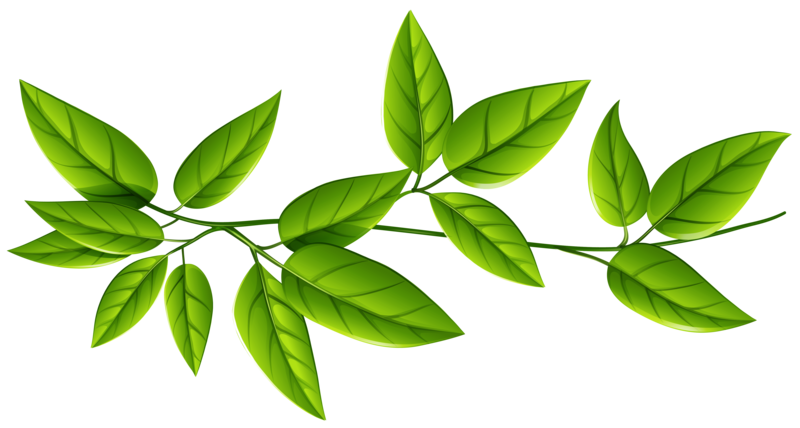 In January I began work on the illustrations for two spiritual fables that I hope to have published this year. 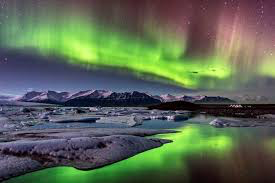 Sacred music experiences in nature is our quest – Alaska, Easter Island and Iceland are possibilities. In 2019, I intend to turn off all my digital devices and have periods of silence for quiet reflection. Why do people respond to the energy of crystals? 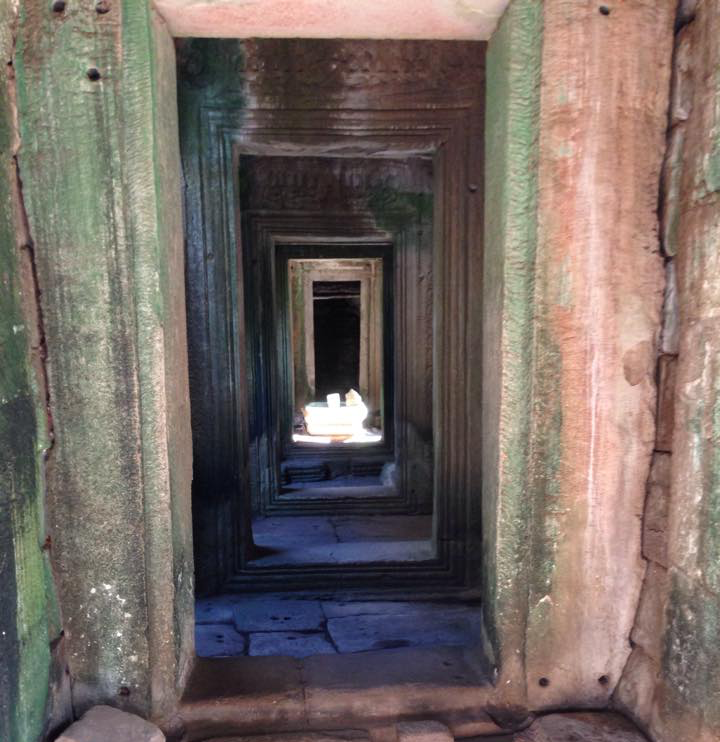 The Crystal Sound and Light Institute is my vehicle for sharing my understanding of the power of Sacred Sound and Crystal Energy. 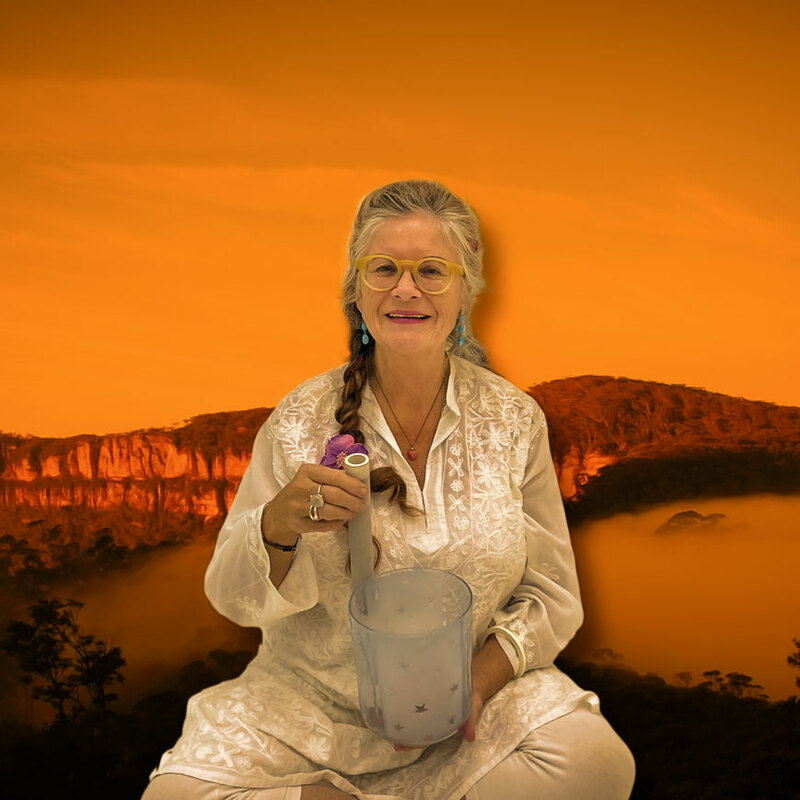 I provide easy access to everything you will need to explore the exquisite world of crystal singing bowls, their pure vibrational tones and the wonder of the mineral kingdom. The most comprehensive teaching environment available anywhere in the world. A store to supply everything you will need to start and continue your journey of understanding with this pervasive and powerful energy. 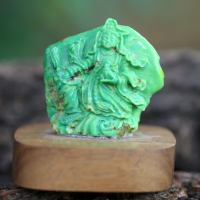 I have created two ways for you to explore the world of sacred sound, crystals and crystal healing. In all of my courses you will find an atmosphere of trust and love. 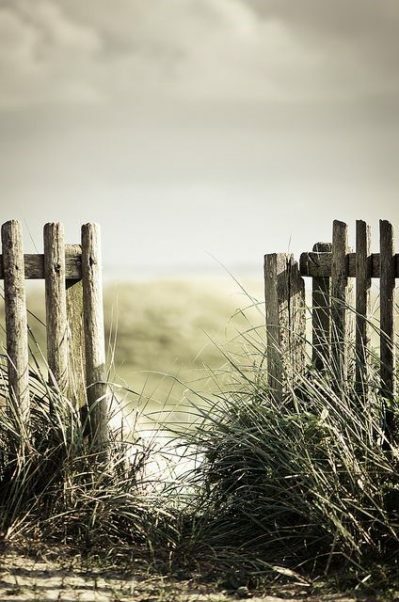 I honour what you bring with you and I help facilitate you moving forward onto the next octave and deeper connection to your inner knowing and authenticity. For those with the drive to delve deeply into this complex and deeply transformational discipline, I have created the most detailed and comprehensive International Crystal Sound Therapy course available. There are two levels – the 1st is the Certificate IV and the 2nd the Diploma. 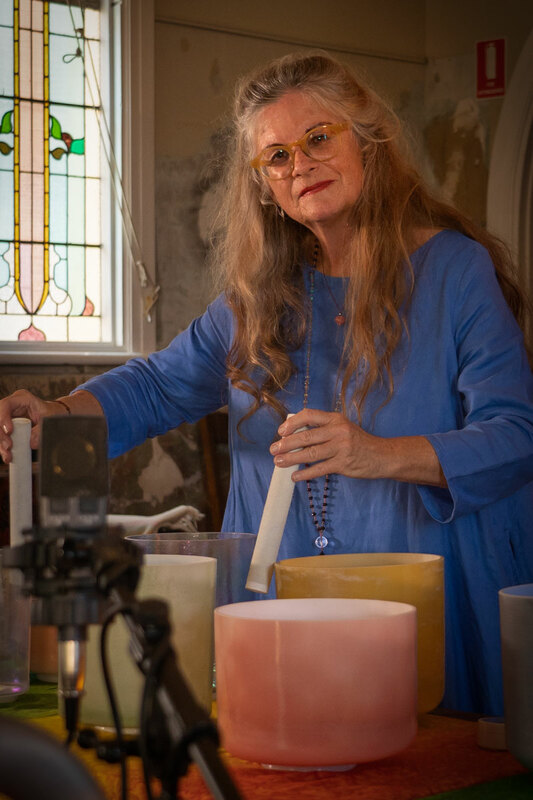 The Certificate IV is for those who wish to work as a professional Crystal Sound Therapist with crystal singing bowls or to personally obtain this level of skill and knowledge. The Diploma is for those who wish to extend their knowledge and skill into the realm of innovation, creativity and an even higher professional level of expertise. I teach the training and study program regularly in locations in Australia and around the world. 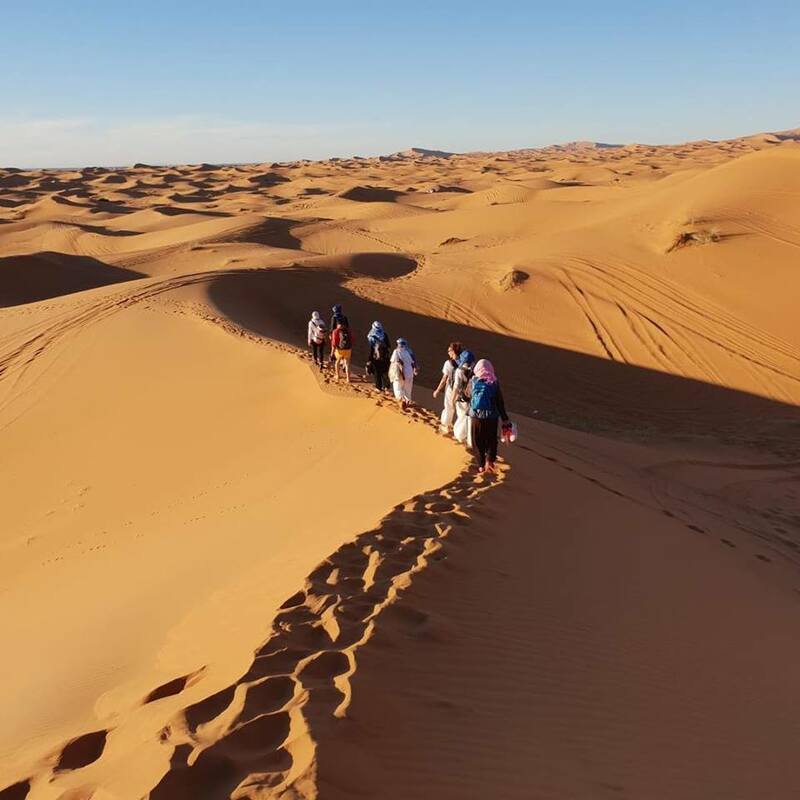 As a result of undertaking this process, many students have created successful businesses based on the model taught here, and others have found the personal and spiritual transformation an end in itself. The second approach allows a more casual exploration through workshops and events. The workshops are participatory and always fun. I regularly stage events where you are welcome to come along and soak up the energy, learn some fundamentals, experience shifts and changes and enjoy deep and peaceful meditations. Very soon I will have online courses available for streaming. 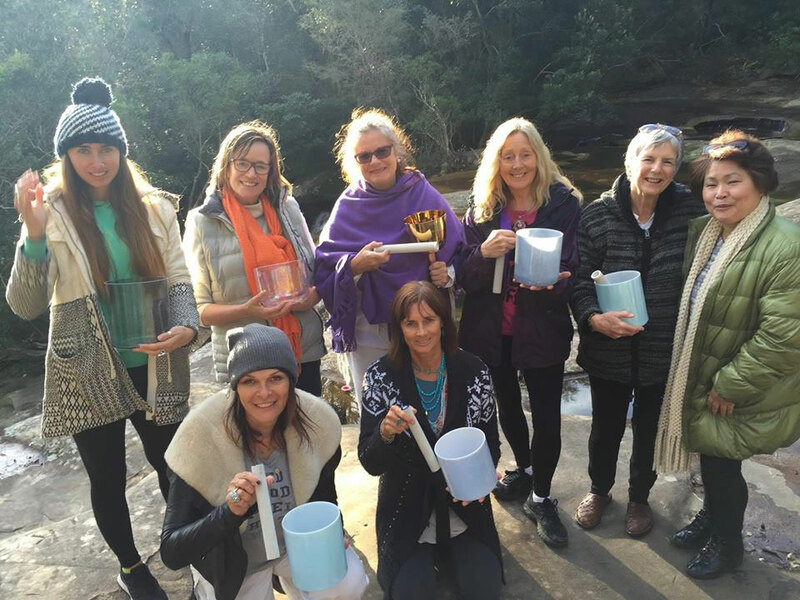 Currently on the drawing board are stand alone courses in Crystal Healing using crystals and gems and in Crystal Sound with crystal singing bowls. Contact Susie on 0412 348 463 and book a workshop.
" I got so much out of the retreat, it felt like an opportunity to receive, receive, receive... I was able to really connect with a deeper part of myself and remember who I am and what really makes me come alive with passion & purpose, in particular, working with the elementals, the tree beings . . . as well as the magical crystals. I had such a lovely & memorable time with you all. Thank you." 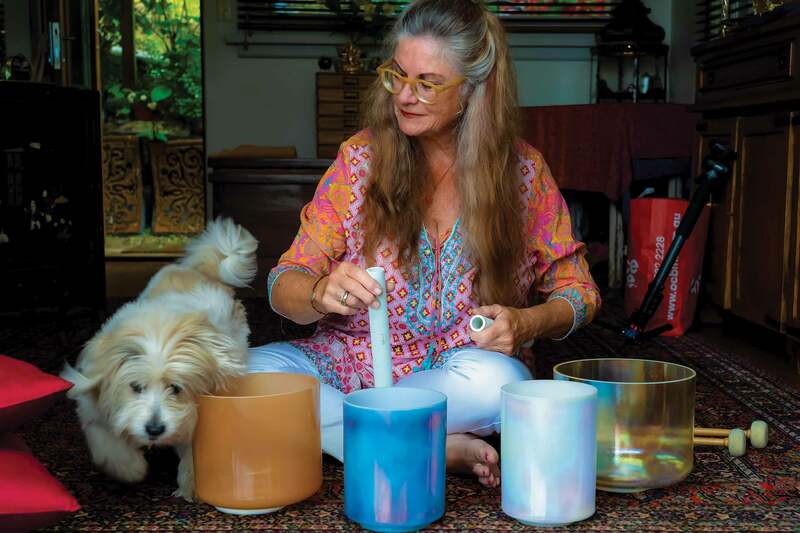 "What an amazing teacher, Susie’s knowledge of sound and crystals says it all. I enjoyed all the activities and meditations, especially the ones in Nature. 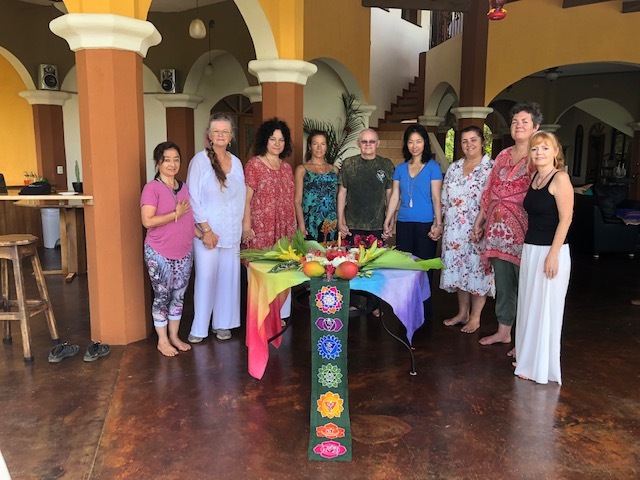 Susie spent all her time focused on our group, with love and wisdom, her teachings are invaluable, and her knowledge of sound, crystals and spirituality was enlightening. I would definitely recommend this workshop, I found it healing and wonderful, and can’t wait for another one. Thank you and blessings to a wonderful soul. The cost is nothing compared to what we got out of the weekend, with love Chris." 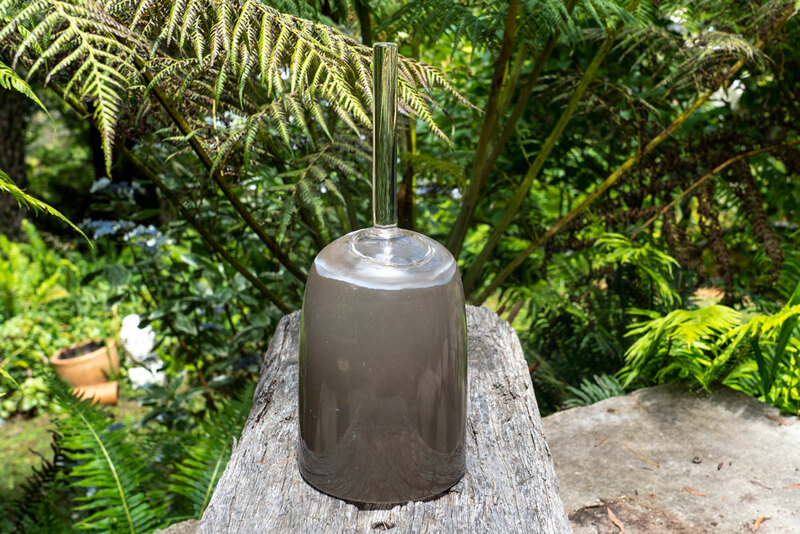 I have spent years developing my teaching methods and at the same time, I have been gathering all the tools that you will need to practice Crystal Sound Therapy. I have the most comprehensive range of crystals, crystal singing bowls and accessories in one spot. I hope you find this collection useful in your development. I have recently received a shipment of bowls from Crystal Tones. These bowls are made with some very exciting and rare materials and all produce sublime tones, as you would expect. 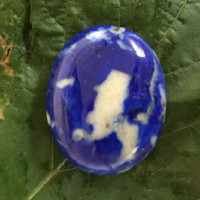 I have gathered a comprehensive range of rare and exotic crystals, each with their own unique energies. You will also find the tools and accessories for playing your crystal singing bowls here. Susie Nelson-Smith and the Crystal Sound and Light Institute are committed to providing a quality and secure online experience. 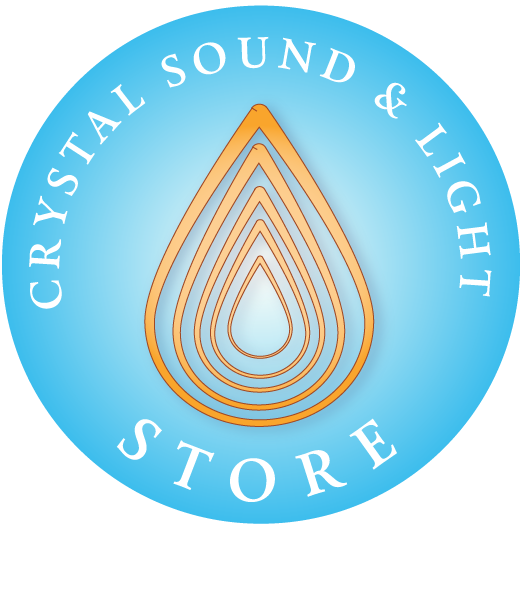 This website (http://crystalsoundandlight.com) provides eCommerce facilities that allow you to purchase product merchandise and enrol in courses and events. All prices are in Australian Dollars (AUD $). The cost of products are displayed before checkout. All product merchandise prices include postage (within Australia) and Goods and Services Tax (GST). For international orders, please make an enquiry before ordering by emailing karyna@crystalsoundandlight.com. Product merchandise is usually shipped within 5 business days. Shipping times are estimated between 1 and 2 weeks, depending on your location and the amount of merchandise purchased. For product merchandise, Susie Nelson-Smith and the Crystal Sound and Light Institute will refund the total amount paid for faulty or damaged goods. The shipping costs in returning goods are at the customer’s own expense. Susie Nelson-Smith and the Crystal Sound and Light Institute does not refund product merchandise unless the goods are faulty or damaged. For course payments, the payment for and use of these services are covered in our regulations. After successfully purchasing product merchandise, or paying for a course or event, you will be emailed a receipt of payment. Please keep this receipt. If you do not receive a receipt, please contact us by emailing karyna@crystalsoundandlight.com. If you would like further information on the use of eCommerce by Susie Nelson-Smith and the Crystal Sound and Light Institute, email karyna@crystalsoundandlight.com. For 20 years I have been playing and working with crystal singing bowls. I am celebrating this milestone from now until November 2019 with surprise sales, pop up exhibitions and very special inclusions. Performing music for me has both a spiritual and therapeutic reward, aside from the pure, concentrated, immediate pleasure of performing for both me and the audience. I have performed in many places around the world inside and out and under many different circumstances. 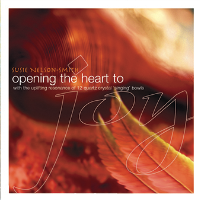 During this time, I have also recorded four CDs of my music with the principle aim to spread the therapeutic and soothing sounds of crystal singing bowls to a wider audience. I have even experimented with online streaming of performance and ringtones. 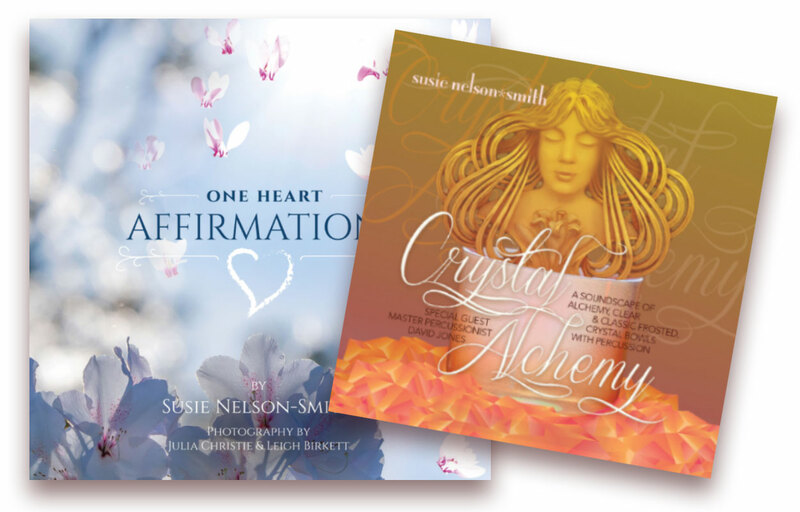 I have created four CDs to date, designed to bring the harmonising, balancing sonic energy of Crystal Sound to your home. Listen to samples of each one here. Susie's latest CD - The deep pulsing vibrations of drums and tinkling bells and cymbals merged magnificently with the celestial sounds of crystal singing bowls to create a deeply resonating sound healing journey. It was my heart’s delight to collaborate with my brother Master Percussionist David Jones, a beloved kindred spirit. 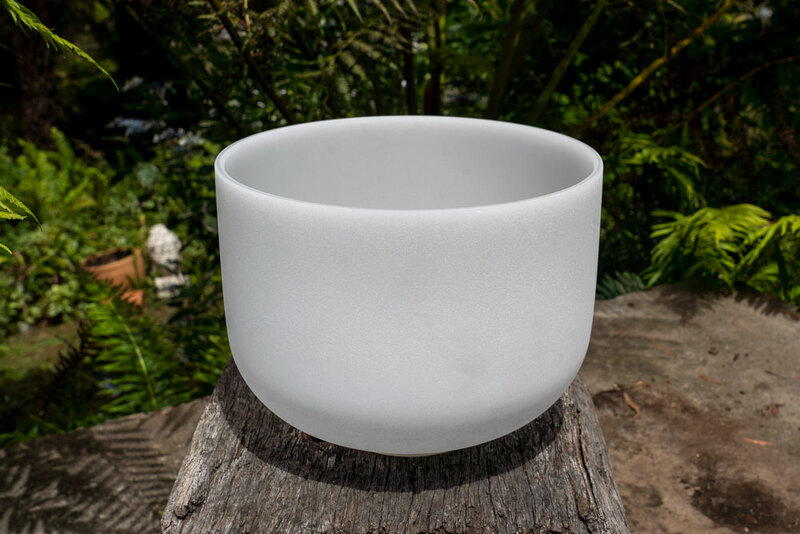 The beautiful sounds of 18 frosted, clear and rose quartz crystal singing bowls create a soundscape that powerfully transforms feelings and memories of separation and sadness to feelings of unity and happiness. In this state of harmony we can more easily remember our connection to Spirit and actively embrace Love in all its aspects. The powerful sound waves emitted by the quartz crystal produce overtones that have resonant and healing properties unlike anything else you have ever heard or felt. 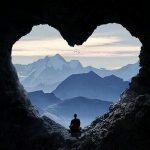 The journey can be experienced again and again each time taking you deeper, expanding your consciousness and connecting you with all things everywhere in a resonance of JOY and love. 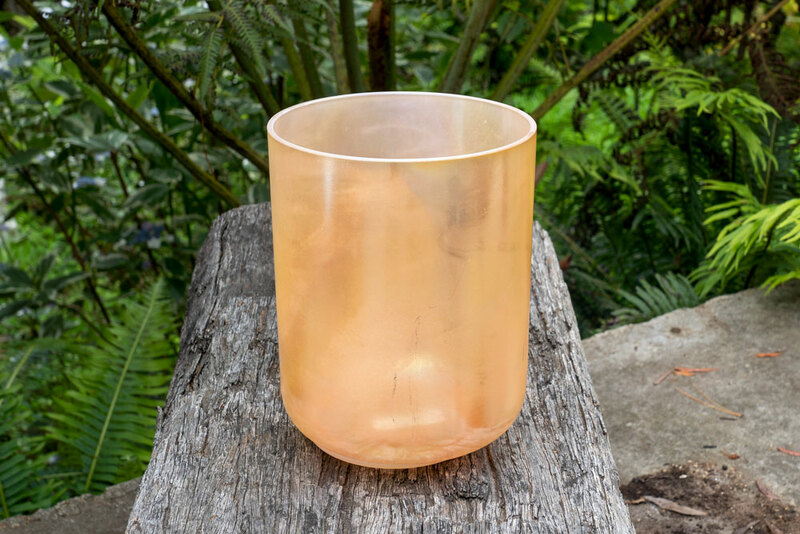 The harmonic tones of the crystal bowls take you on an inner journey to the place you call peace. 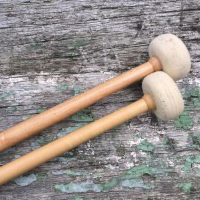 The sacred sounds bring you into a state of harmony and balance where your mind and body can experience stillness. We celebrate 10 years of singing beside the bedside for those on the threshold of life and death, December 2018. 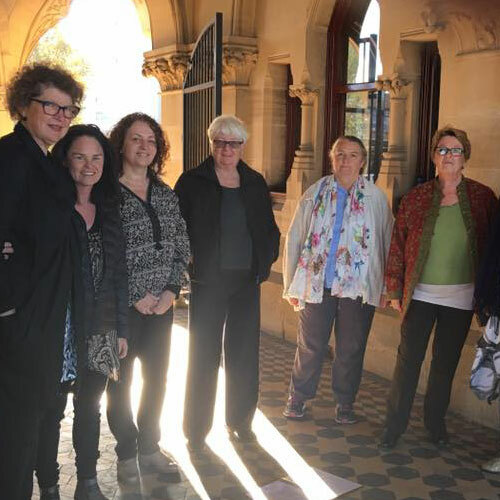 We rehearse weekly in Leichhardt and regularly sing in groups of 3 and 4 beside the bedside in nursing homes, palliative care hospitals and private homes. We welcome new members. Our style of singing which is soft and soothing is called “kindness made audible”. 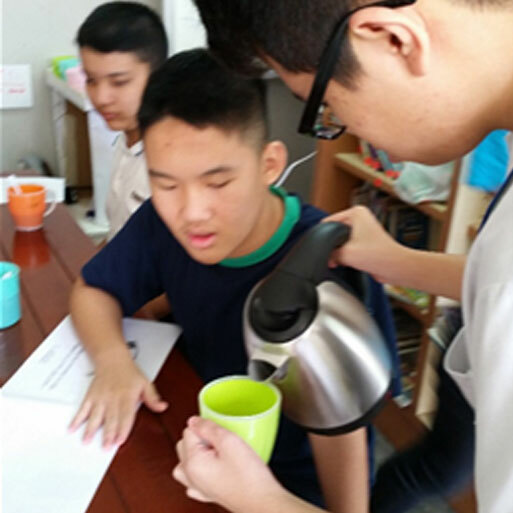 I am involved with a Special Needs orphanage in Phnom Penh Cambodia after the CST class of 2014 played the crystal bowls for the children as our Heart Project that year. I have created a series of ringtones that you can download and donate to the orphanage. Watch this space! 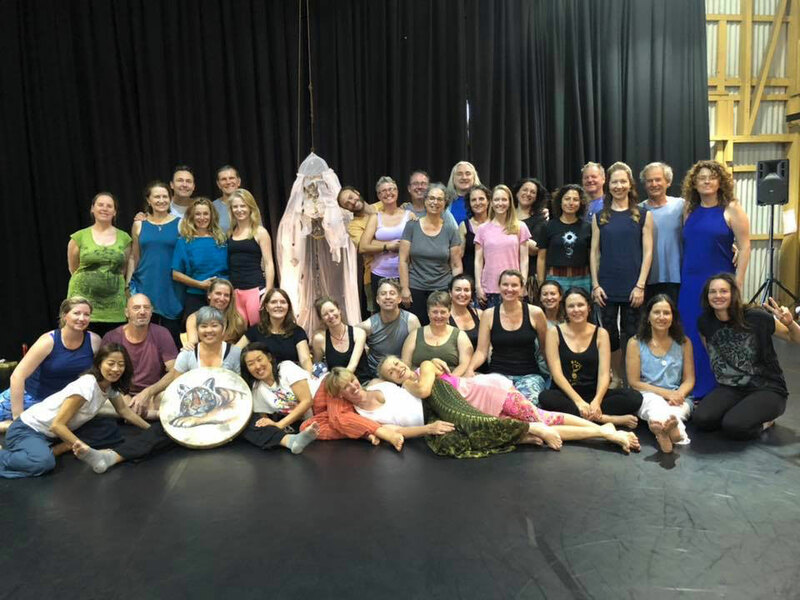 Dance teacher, Sue Andersen and I collaborated with 2 workshops in 2018 and will continue bringing crystal singing bowls, deep relaxation and focussed meditation to the 5Rhyhms dance experience during 2019. Aside from my “path of the heart” role as one who disseminates the knowledge of crystal sound therapy and crystal healing, I have many other activities that I am passionate about. There are other stories and experiences in my life that have afforded me the opportunity for reflection, insight and some wonderful adventures. 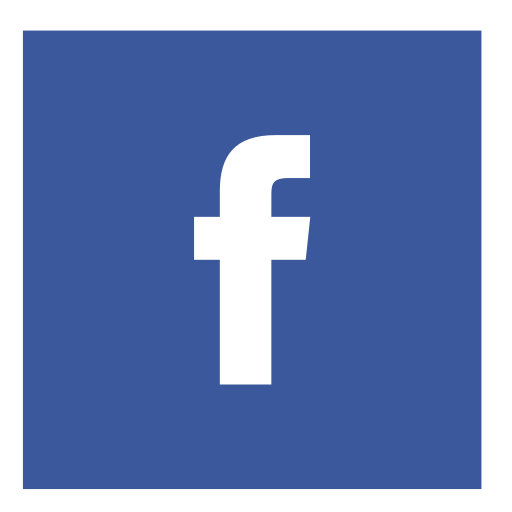 Follow the link to read previous blogs.